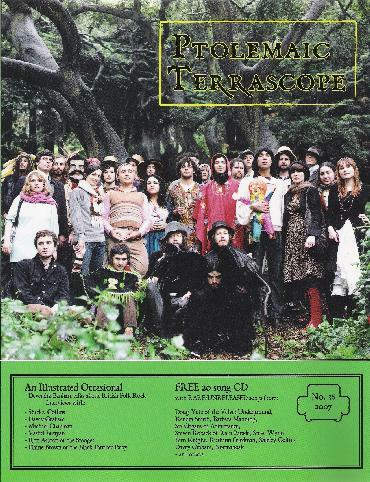 Ptolemaic Terrascope is a long lived psychedelic music magazine that for many years was published in the UK by Phil McMullen. But some time ago Phil decided to pass the torch, and when he did it went to this side of the Atlantic, the new editor/publisher being San Francisco based Pat Thomas, who many of you will know as the drummer and bandleader of jazz/psych/kraut/progressive ensemble Mushroom. For more information you can visit: http://www.terrascope.org. Email Pat Thomas at: normalsf@earthlink.net.